This problem is caused by incorrect command line arguments in the 'Target' of the shortcut properties. Maybe you didn't enter all of the needed arguments or you could have missed a space or two. 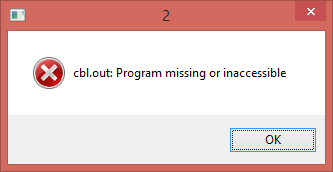 The runtime, WRUN32.EXE, doesn't know what program to run.